Last night Conan O’Brien hosted his first episode of The Tonight Show With Conan O’Brien. When I was teenager, my friends and I regularly watched Late Night With Conan O’Brien. Some of his sketches and jokes became long-term parts of our vernacular. Sepia-tinted footage. 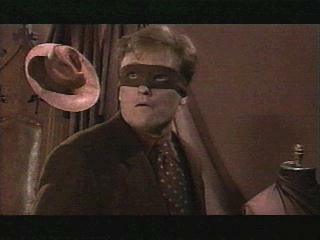 Conan, wearing a Zorro mask and carrying a brown cane approaches some clothes. “Ah, brown, beautiful brown.” He senses something and leaps offscreen. Andy wonders what the Brown Dandy’s superhero powers are. 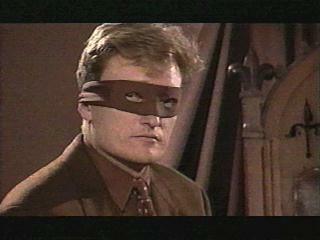 Conan says that he leaps into frame, appreciates things that are brown and then leaps out of scene. 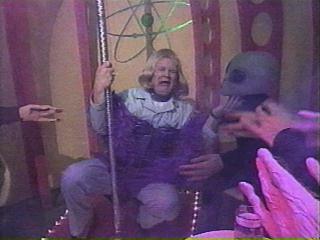 Andy is kidnapped by bug-eyed aliens, eyelashes, lipstick and a blonde wig are put on him and he’s forced to dance like a stripper for the aliens’ enjoyment. A space ship dangles on a string. Max claims that he is a big star in India and his new film there is number one. 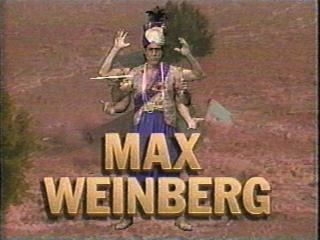 The trailer for it is narrated in Hindi, features stock shots of floods and other disasters with Hindi script and a chroma-keyed shot of an Indian Max with six arms (a shiva) twirling drum sticks. One more Late Night memory deserves mention here too. In college, Conan and Mr. T’s trip to an apple orchard in upstate New York was enjoyed repeatedly and still remains dear to my heart. Thankfully, a YouTube video does exist for this. Good luck with The Tonight Show, Mr. C!